I’ve known about the annual Jorvik Viking Festival in York for years. 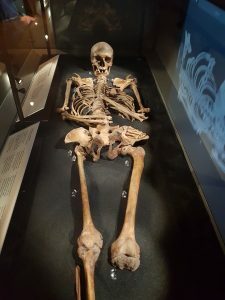 But last month’s event, the 34th, was my first opportunity to go (long overdue as I’m a total history geek and Viking culture is one of my favourite subjects). On arrival, I rushed off to Advanced Norse Tablet Weaving, run by Mari Wickerts, an expert from Gothenburg Museum in Sweden. 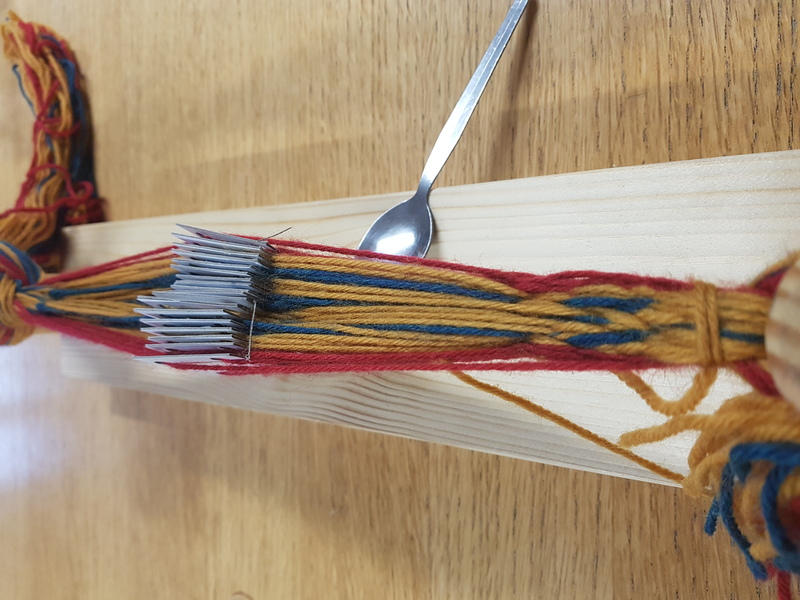 In addition to her craft class, she gave a fascinating talk about Viking textiles with astonishing colour depictions of the braiding found on the Oseberg Ship burial in Norway. 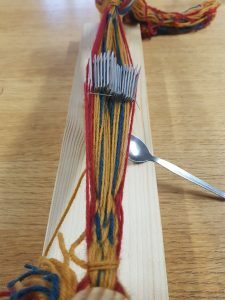 After a demonstration from Wickerts, we tried our hand at the ancient Viking craft of tablet weaving. I was in seventh heaven as I combined my love of history with craft despite the fact that my braid ended up in a huge knot. I wasn’t put off, though and, by the end of the session, I was hooked. In fact, I’m already planning to make my own tablets so I can master the art. The following morning I made my way to Barley Hall for a ‘Meet the Experts’ session with conservationists demonstrating the process from archaeological dig to display. The main hall boasted a table full of objects and x-rays exhibiting some of the many finds from various York digs. 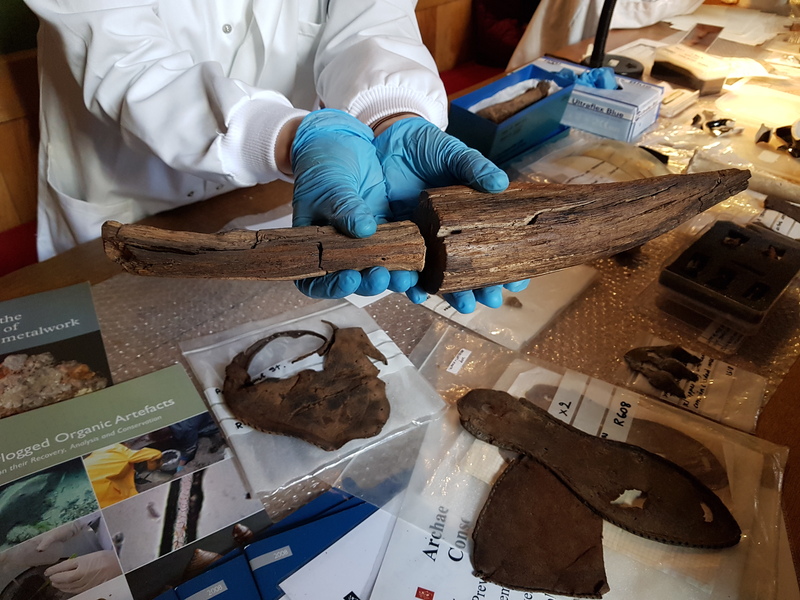 This consisted of artefacts from various periods of history including two parts of what experts believe to be a Viking fence post complete with pointy top. The table was child friendly, with broken plates ready to be stuck together and a microscope to examine artefacts. I would have found this utterly captivating as a child. From here I looked around the medieval hall, hidden away for centuries under a modern façade. Painstaking work by York Archaeological Trust has revived this forgotten gem and its serene atmosphere quickly makes you feel as though you have stepped back in time. My next stop was the fulfilment of a childhood dream, the Jorvik Viking Centre. Ever since Blue Peter featured the centre, I’ve wanted to visit – and it was worth the wait. Flooding in 2015 put the building out of action for many months but the new, re-imagined version is now up and running, attracting the same massive queues as before. On entering you are immediately among the original archaeological dig. Suspension over it by means of a glass floor means that the experience is both spellbinding and unnerving. The journey through the reconstructed Viking York streets is wonderful, complete with the smells and an audio description of the tableaus. The detail is amazing and any fear I harboured of a Disney-fied version was quickly dispelled. On the other side of the Jorvik village we were met by a Viking in full period costume. Proffering a tray of finds, he went through each item explaining how it was used by the Vikings living in York. Children and adults huddled round, mesmerised. Meanwhile, glass cases revealed archaeological discoveries from the original dig. I was especially drawn to the spindle whorls, the preserved shoes and the beautifully displayed Viking sock. Before leaving I found a case exhibiting the famed Watlington hoard; another dream realised. Back outside on Coppergate, I walked straight into an enthralled crowd of parents and kids watching a group of actors. In full Viking age attire, they performed stories and sagas jam-packed with tales of invasion, battle and heroic deeds. My next stop was the Parliament Street Viking encampment housing ,dedicated re-enactors and craftsmen. 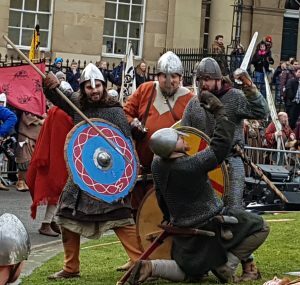 They shared their knowledge with crowds of tourists, allowing them a glimpse into every day camp life as well as showing Viking weaponry and armour up close. In the same spot a marquee was bursting at the seams with stalls selling Viking wares. Having studied the period in some depth, I was impressed by the level of skill and attention to detail. Items such as the glassware and pottery were particularly special. Next I walked over to St Sampson square Yurt, home to another gathering of Viking-inspired stalls. Outside the yurt, an expert woodcarver had engaged a large crowd and, as I passed, I heard him telling the children in the front row that Disney had stolen some of their “Viking sons”. Crammed inside the yurt were artisan stalls groaning under the weight of beautifully-crafted items. 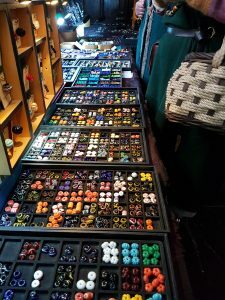 I’m a bit of a magpie, so the first stall to catch my eye was filled with jewellery. Having spent many an evening drooling over Viking silverware in my history books, I noticed that the intricate pieces were recreations of known Viking adornments such as Urnes-inspired brooches and wolf-head bracelets. Other stalls sold everything a Viking would need from helmets to cooking pots and axes. As I wended my way back to the B&B, I stumbled across a sign for a Re-enactors Market inside Holy Trinity Church. Intrigued by the location, a tiny 12th century church tucked away just off Goodramgate, once inside I felt tingles up my spine; the candlelit interior was like a time capsule. Unchanged for centuries and deathly cold, it was absolutely beautiful – the Viking re-enactors’ wares seemed completely in keeping with their surroundings. Stall-holders filled individual box pews with stock, propping up rolls of woollen fabric in the corners and draping exquisite hand-stitched tapestries over the pew tops. At the back of the church was a stall filled with a gorgeous array of hand-blown glass beads. These were traditionally worn by Viking women, strung between matching shoulder brooches. I was so taken with them that I began to consider if I could get away with wearing a couple of strings of beads and a pair of tortoise brooches in Tesco. Realising this might be a bridge too far, I left avoiding further temptation. Having missed the strongest Viking Competition on Saturday morning, I was just in time to catch the famed Viking March to Coppergate. Hundreds of people jostled for a spot outside York Minster awaiting the start of the March. The procession of Vikings began just after 1pm and they all looking magnificent in their Viking garb and footwear. Some were resplendent in full battle dress shouting suitably Viking-y calls to arms. The crowd were delighted. Once the throng had passed, I quickly made my way through the masses to the Eye of York by Clifford’s Tower for the little publicised Skirmish event. In spite of my haste, I admit that I attended the Viking Skirmish with trepidation. With re-enacted battles, I am perpetually worried they will be reminiscent of the Cavaliers and Roundheads episode of Ever Decreasing Circles, complete with an inaudible comedy tannoy speaker and dodgy costumes. 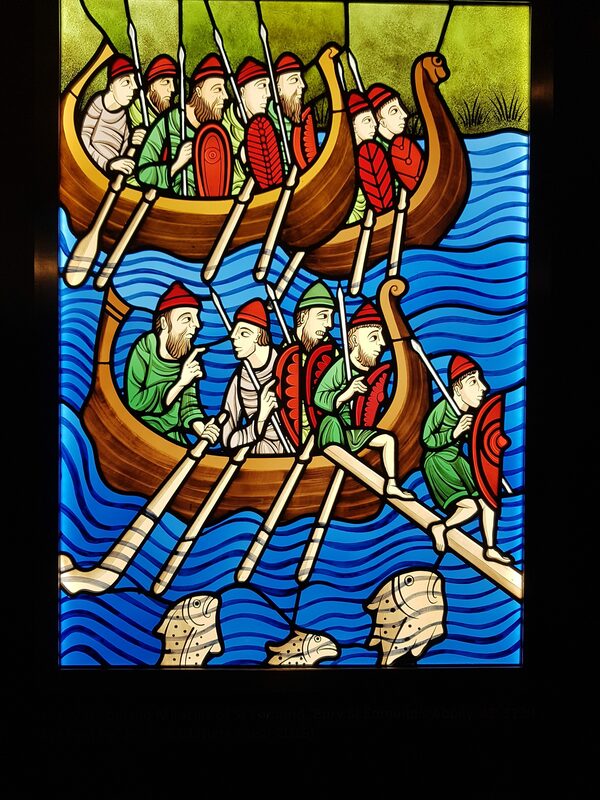 I’m a stickler for authenticity so Vikings in trainers would have set my teeth on edge. It’s always been my opinion that if you’re going to re-enact a period of history it must be spot on. I needn’t have worried: the re-enactors’ attention to detail was superb and they clearly knew their stuff. The skirmish was lively and extremely entertaining. But I’m sorry to say that, in the process of getting some lunch, I missed the Best Beard competition. That evening I attended the Festival Finale – The Great Viking Army Returns. Back in the Eye of York, we were treated to another re-enacted battle with a narrated storyline. Cleverly lit, this performance was powerfully atmospheric, and the audience were so enchanted that they didn’t seem to notice the cold February night air. The battle was followed by a spectacular firework display from Clifford’s Tower. A dazzling end to an action-packed day. After three days of historical gorging, it’s possible I would have reached my limit. But, no, I still had just enough room to squeeze in a Viking Symposium on Sunday morning. 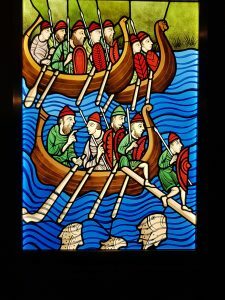 Hosted at York University, and entitled A Great Heathen Army? Belief and Ritual in the Viking World, visiting lecturers spoke on various aspects of Viking history as well as sharing recent archaeological finds. It was a fascinating, thought-provoking event and a perfect finale to a weekend of discovery. Despite managing to cram every day with interesting events, there was so much more to do. I’ve already started a wish list for 2019. 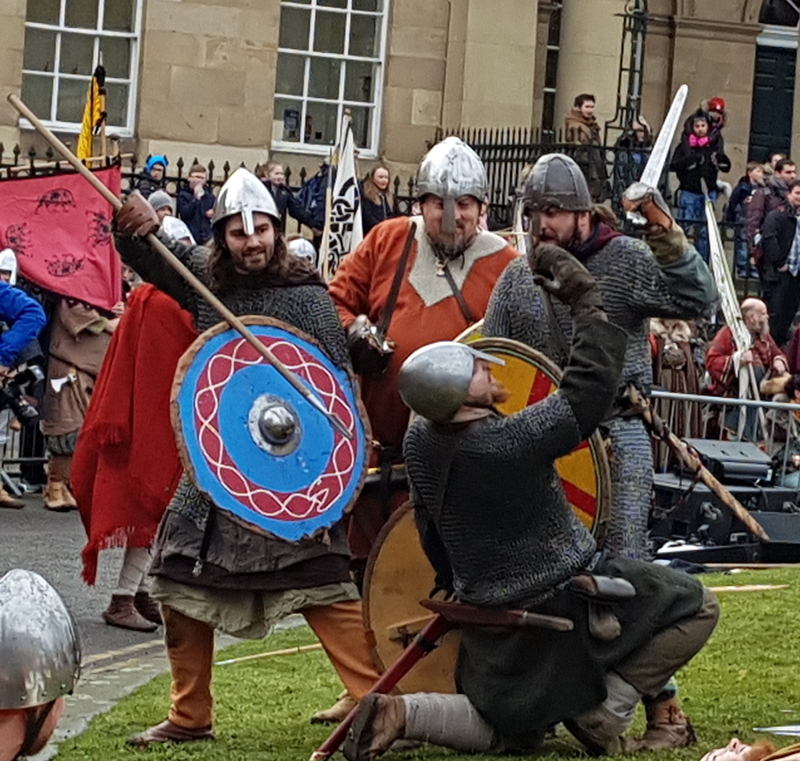 Jorvik Viking Festival was everything I dreamed it would be and plenty more besides.